Hospitals that doctors say pay attention to patient safety and physician feedback are ranked the highest. 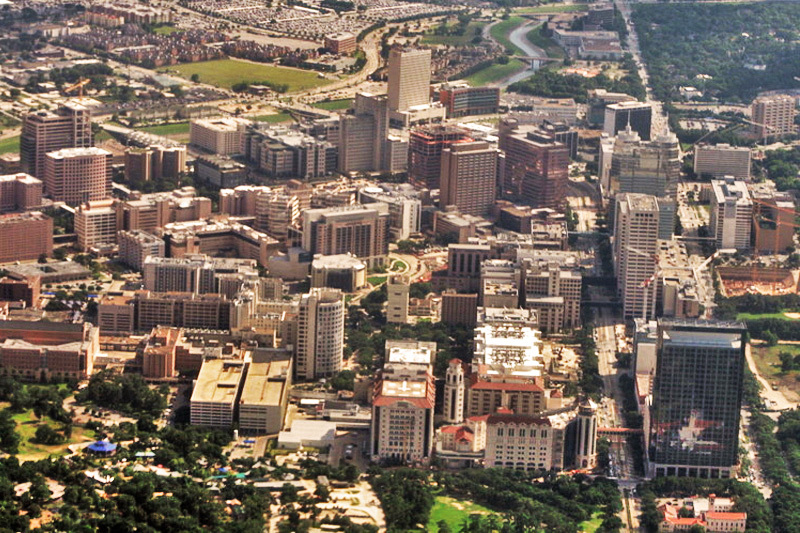 Located near downtown Houston and with over 100,000 employees, the Texas Medical Center is the largest medical complex in the world. Houston physicians tend to be most satisfied working with specialized hospitals as they prioritize patient safety and respond to physician feedback, a new survey of Harris County Medical Society members has found. The annual opinion poll asks doctors in the Houston area to rank their experiences with local hospitals in order to improve relations between doctors and administrators. More than 2,000 physicians responded, writing 3,909 evaluations in total. Respondents said the factors contributing the most to their satisfaction were a hospital’s attention to patient safety and a culture of encouraging doctors to report medical errors. Respondents said management actions show patient safety is a top priority at Houston Methodist West Hospital at 92% satisfaction. Baylor St. Luke’s Medical Center was rated lowest on that list at 74% satisfaction. Houston Methodist West Hospital ranked highest on multiple questions asking how hospital administrators deal with physician feedback. See the full survey results below.